Finding a good podcast is like opening the door to a diner where they’re always discussing life as you know it. I enjoyed three episodes of Faculty of Horror today, and I was glad to settle in for their conversation. 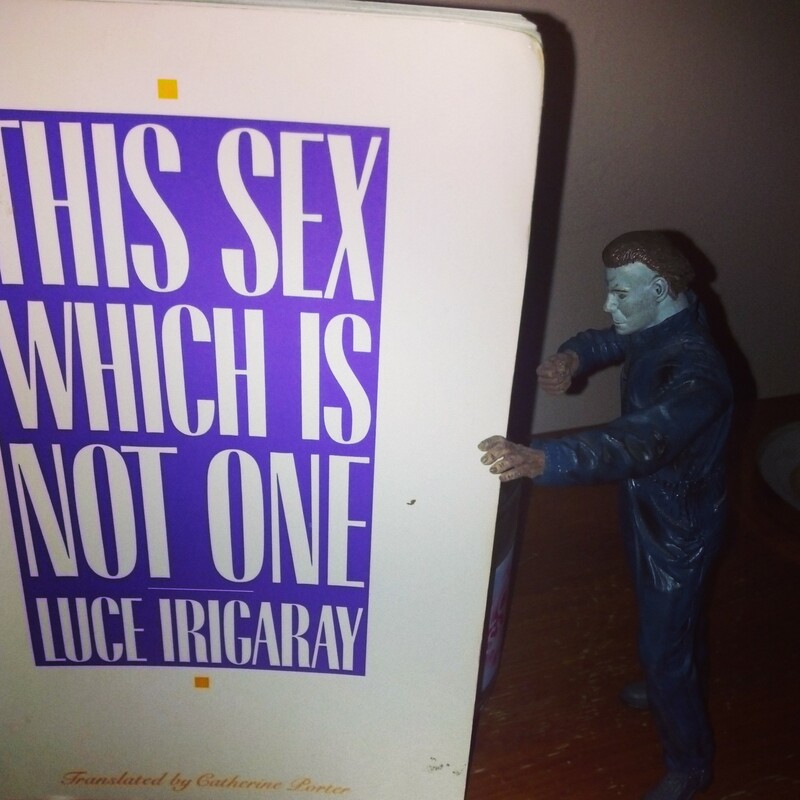 Andrea Subissati and Alexandra West offer feminist views on horror flicks. Their thoughts are often critical and always insightful, but sitting to listen for a spell never feels like receiving a stern lecture. The Faculty of Horror is a true conversation;a pla ce where there’s room to think and form your own opinion. Here’s the problem – you can’t talk back at podcast diners. Because of this, I had to rush home to write some words about the women of Haddonfield, who I believe were slightly misunderstood in Episode 1: Halloween vs. Black Xmas. Much of the discussion from Subissati and West, as I interpreted their conversation, was based on the idea that the women from Halloween were less well-rounded than the women of Black Christmas. I agree with this statement, and I also believe Halloween exists in a very masculine, patriarchal world where women are punished for not behaving. My complaint? I believe regionalism must be taken into account when viewing Halloween. The massacre takes place in Haddonfield, Illinois, after all. Laurie Strode and her friends are more believable as Midwestern women. I view Laurie as a character whose innocence is stifled desire, where Annie’s great energy and spirit are suppressed to focus her attentions on her rather unimpressive boyfriend. I see Lynda as smarter than her beer-swilling lover, but having too much fun to rock the boat by letting her intellect show. Are these simply projections of my own values and beliefs? Quite possibly, but these ideas do add something to Halloween. These women have not really lived yet. They are trapped in a culture of rules and values. They speak in cliches because it’s the only language they possess. Maybe if they were more free they could better help themselves. This isn’t really a complaint. It’s more of an attempt to keep a great conversation going by adding my two cents. They’re planning on doing a new podcast every month, but I plan on hanging out in this diner in the hopes they just keep talking the whole month long. Or twice a month. Twice a month would be pretty good.